Kershner Office Furniture is proud to announce that we have been selected as a winner of the Philadelphia Inquirer’s Family Owned Business Award for 2019. This awards program spotlights family owned businesses who continue to grow and evolve in an ever-changing economy. Kershner Office Furniture is a 2nd generation family-owned and operated business with roots that extend back to 1959 when Claude B. Kershner opened a small stationary store in Upper Darby with just 3 employees. With his family’s assistance he built C.B. Kershner in Manayunk to one of the largest office furniture dealers in the region, employing 186 people. The company was acquired by B.T. Office Products in 1996. In 2002, Bruer Kershner picked up the reins and opened Kershner Office Furniture. With his vast client relations and knowledge of the industry, Bruer has successfully grown Kershner Office Furniture to 35 “work family” members. We have been going strong for 17 years and continue to grow! 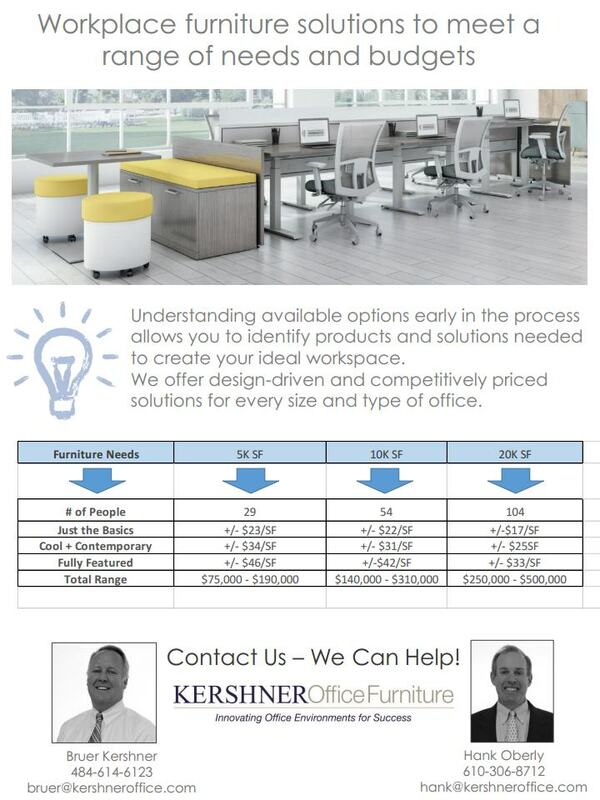 Follow Kershner Office Furniture on Instagram, Facebook, LinkedIn and Pinterest. Check out our website @ www.kershneroffice.com. Think Furniture Before Your Sign A Lease! 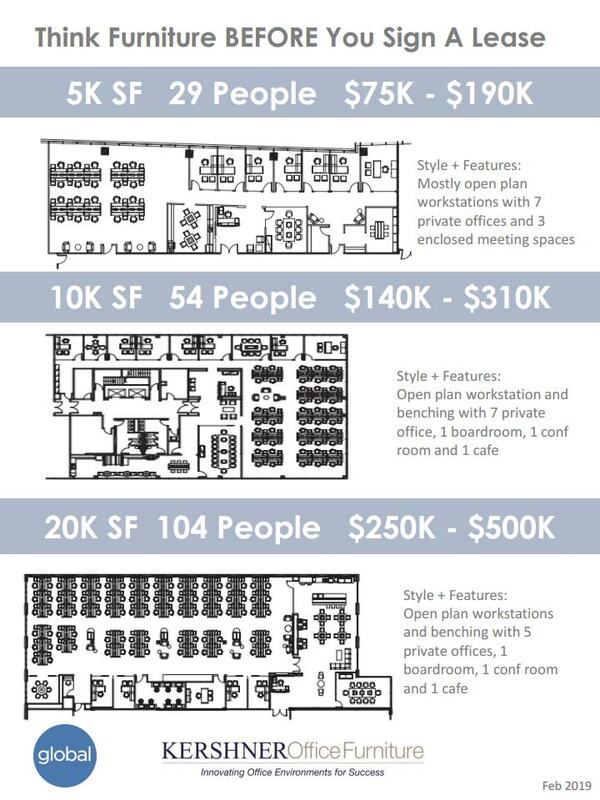 Click here to download our white paper showing some budget scenarios based on size of your space, number of employees and desired aesthetic. It’s Gail’s Gab 2019! Moons, Malls, Groundhogs…and…oh yeah…Furniture! CLICK HERE – HAPPY READING!! First quarter updates – new faces! new products! new installations! Be sure to catch the last “Gab” for 2018!! CLICK HERE TO READ!